I was working on this post before i came to the final class today. the idea was to make the no parking symbol using only band aids. 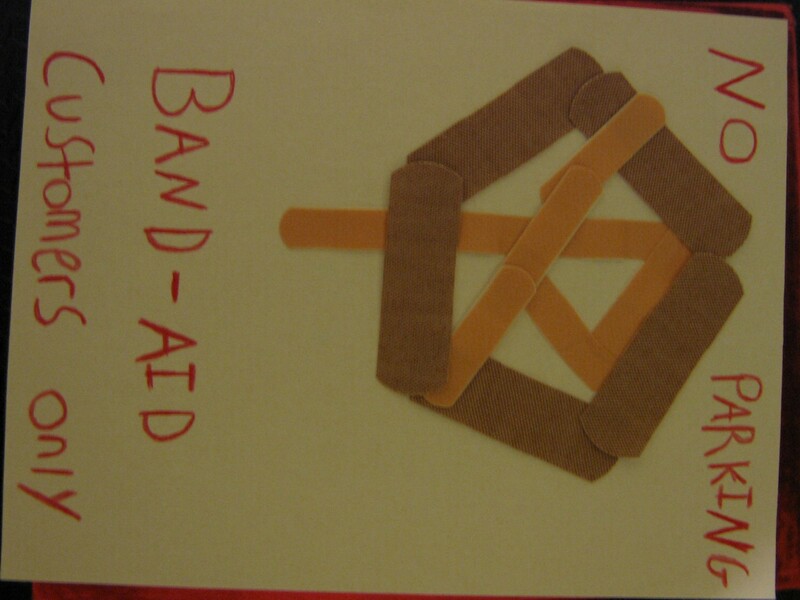 it was a little difficult making the circle because i was running low on band aids. this sign is to provide luxury parking for the proud consumers of band aid brand. customer’s would be more inclined to support the brand if it were to result in better parking spots… we all know how parking is in Richmond! this would be a great promise from band aid brand to its loyal customers! This entry was posted in Promise. Bookmark the permalink.